The Geber Gator range still carry the same high carbon steel blades that are the same on all of Gerber's but where they differ is the unique Gator grip that is designed to be as tough as the hide of an alligator. Resilience is important when out in the field and these gator knives by Gerber can be used in all conditions in all places and still provide the high level of cutting power that is expected from knives of this quality. 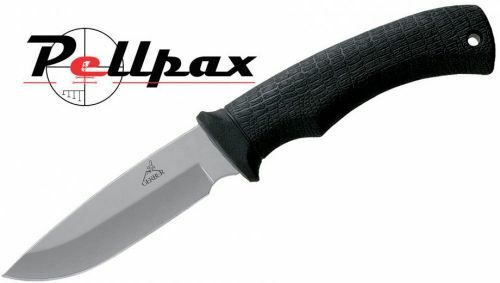 Comes with premium nylon and polymer sheath.